Selecting the Right Label for Cleanroom Applications | ID Label Inc.
White suits, masks, gloves — sounds like something out of a science fiction movie, doesn’t it? But these aren’t props in a movie. They’re part of a standard uniform for cleanroom environments. “Cleanrooms are workspaces with controlled levels of environmental pollutants, such as dust, microbes, aerosol particles, and vapors,” said Jason Golding, ID Label’s manager of quality assurance. “Industries ranging from electronics to healthcare require varying degrees of control, which is specified by the number of particles per cubic meter at a specified particle size,” he said. Our labels are used in many cleanrooms and controlled environments across a variety of industries, including microelectronics, media, biotechnology and pharmaceuticals. 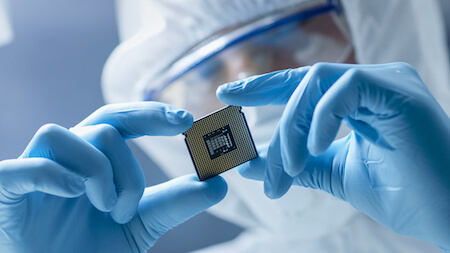 ID Label's solutions are used in many cleanrooms and controlled environments across a variety of industries, including microelectronics, media, biotechnology and pharmaceuticals. 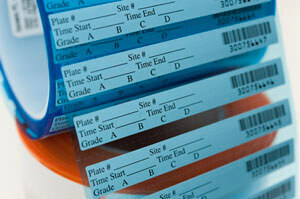 Labels for cleanroom applications have strict requirements. ID Label’s products are used in many cleanrooms and controlled environments across a variety of industries, including microelectronics, media, biotechnology and pharmaceuticals. ID Label offers permanent and removable cleanroom labels and tags, custom-engineered for durability to match your environment. ID Label is ISO certified for cleanrooms. We offer permanent and removable cleanroom labels and tags, custom-engineered for durability to match your environment. 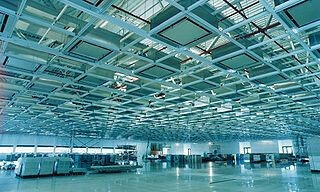 We also offer a range of solutions for electronics, PCB and other applications. Contact us to learn more or request samples for testing.